Sharp and high-quality colour output with new PxP™ toner; Excellent productivity at 20 ppm in both colour and B/W; Duplexing at simplex speed; Exceptionally wide media handling. Sharp and high-quality colour output with new PxP™ toner; Excellent productivity at 25 ppm in both colour and B/W; Duplexing at simplex speed; Exceptionally wide media handling. 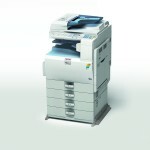 High performance A4 colour copier. 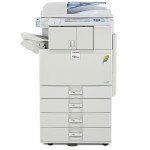 Provides all the colour printing, scanning and copying functions. Simple to use. Ultra Productive. High-end scanning. 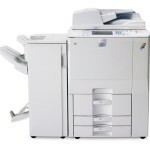 Print speed 30 pages per minute. 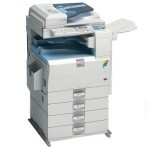 High performance A4 colour copier. 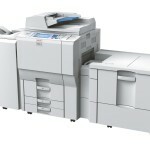 Provides all the colour printing, scanning and copying functions. Simple to use. Ultra Productive. High-end scanning. 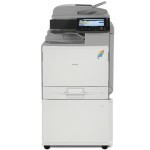 Print speed 30 pages per minute. Fax. 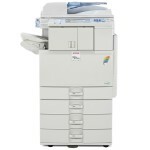 Optimal productivity: up to 60 (colour) and 65 (B/W) pages per minute; Fast one-pass duplex scanning: 115 (colour) to 125 (B/W) images per minute; Security and flexibility; High efficiency. 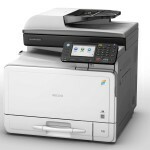 Optimal productivity: up to 70 (colour) and 75 (B/W) pages per minute; Fast one-pass duplex scanning: 115 (colour) to 125 (B/W) images per minute; Security and flexibility; High efficiency.